Before taking this course, it is recommended that you have a general understanding of basic cloud computing concepts. - [Stuart] Hello, and welcome to this course where I shall cover the fundamentals of compute resources offered by Amazon Web Services, AWS. Compute is a large element of the AWS infrastructure, and it's likely to be one of the first service types that we will use. There are a number of other foundation services that AWS is built upon, compute being one of them, in addition to storage, database, and network. This course will focus on compute resources. To learn more on the fundamentals of the other foundation services, please see our other AWS fundamental courses covering storage, databases, and networking. 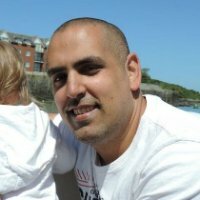 As this is a beginners' course, I will cover all compute elements from the ground up, ensuring you have a full understanding of each service and feature discussed. Before we start, I would like to introduce myself. My name is Stuart Scott. I am one of the trainers here at Cloud Academy specializing in AWS, Amazon Web Services. Feel free to connect with me with any questions using the details shown on the screen. Alternatively, you can always get in touch with us here at Cloud Academy using the community forum where one of our cloud experts will reply to your question. This course has been designed for anyone with an interest in AWS looking to learn about the different compute fundamentals of the platform. This is a beginners' course, and so if you are new to AWS and are looking to understand what compute is and the resources and services that are classed as compute, then this class is for you. Feedback on our courses here at Cloud Academy are valuable to both us as trainers and any students looking to take the same course in the future. If you have any feedback, positive or negative, it would be greatly appreciated if you could use the comment section found on the landing page of this course. That brings us to the end of this lecture. Coming up next, we are going to answer the question, what's is compute in AWS?